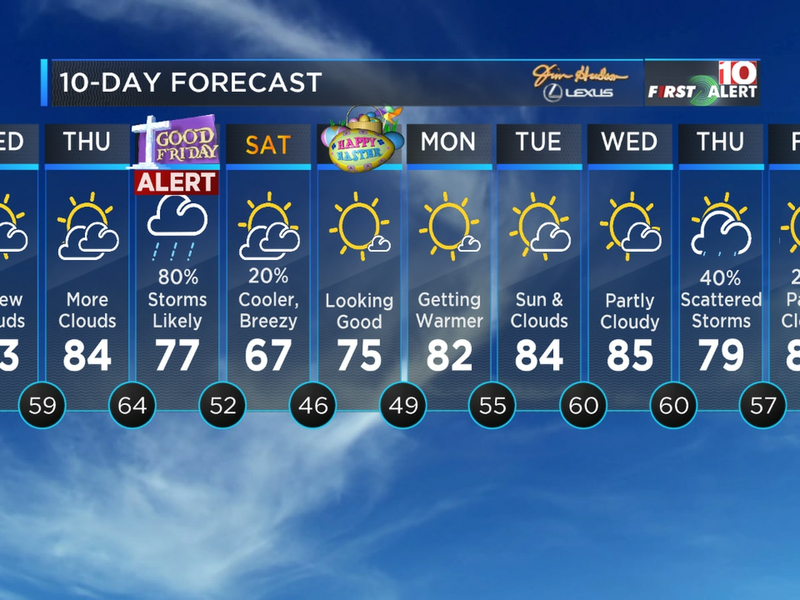 First Alert Forecast: Tracking cooler temps and a lot of pollen! COLUMBIA, SC (WIS) - We’re tracking cooler temperatures, and lot of dry weather and high pollen counts this week. 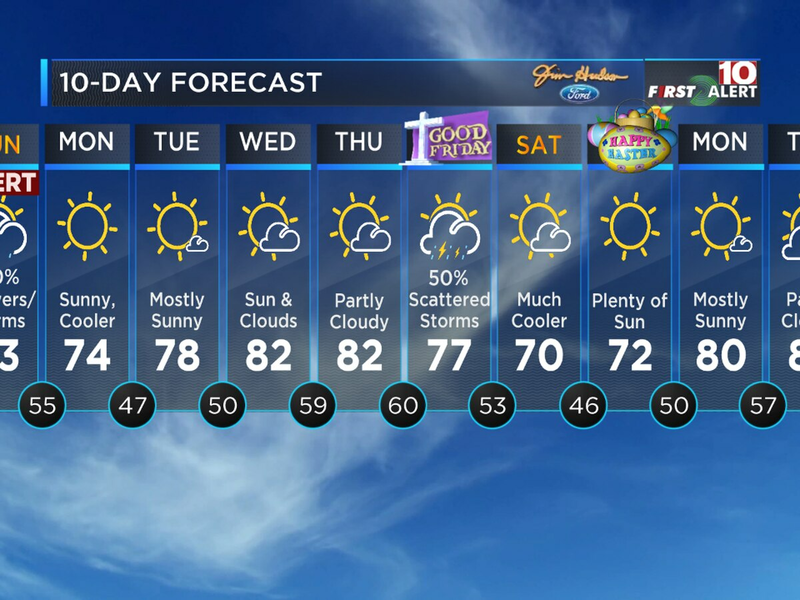 · Patchy frost is possible Tuesday and Wednesday mornings in parts of the Midlands. Temperatures will dip into the mid to upper 30s. Care for your pets and plants! · Highs will be in the upper 50s and lower 60s Tuesday and Wednesday with sunshine and clouds. 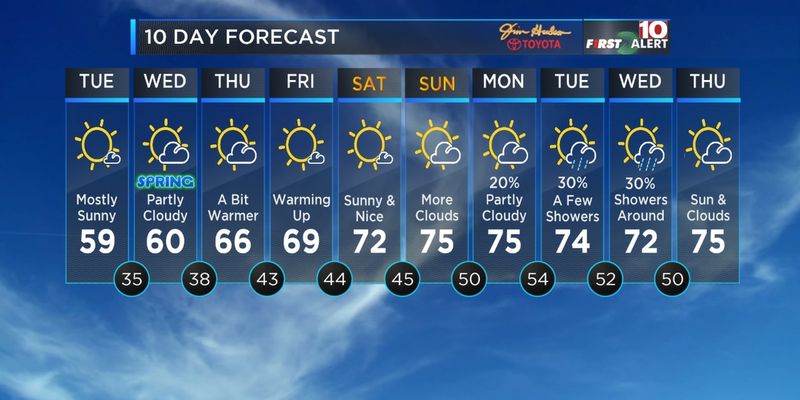 · Temperatures will warm into the 70s by your weekend. · Our next chance of rain arrives early next week. As we move through your Monday night, bundle up! Temperatures will fall into the mid to upper 30s under mostly clear skies. Patchy frost could develop in few low-lying areas overnight, so make sure you check on your pets and plants. After a cold start on your Tuesday morning, your afternoon will feature temperatures in the upper 50s and lower 60s under mostly sunny skies. We might see a few more clouds to start the day, but no rain is expected. Highs will be in the mid to upper 60s Thursday and Friday. High temperatures will climb into the low to mid 70s by the weekend. Also, the pollen count will remain very high over the next several days until we see some rain early next week. Tonight: Mostly Clear and Cold. Patchy Frost Possible. Low temperatures in the mid to upper 30s. Winds: W/NW 5-10 mph. Tuesday: Mostly Sunny and Cool. Highs in the upper 50s and lower 60s. Winds: NE 5-10 mph. Wednesday: Sun and Clouds. Still Cool. Highs in the low 60s. 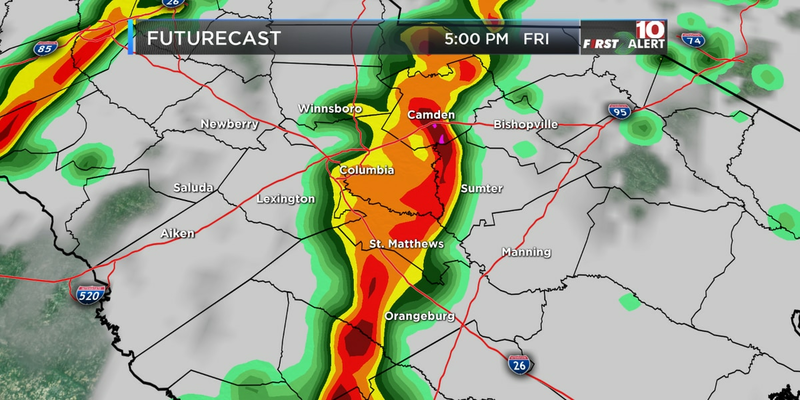 Winds: NE 5-10 mph. Thursday: Partly Cloudy and Mild. Highs in the mid 60s.